To be released on cassette and digitally on 8/3/18. C40 – white tape with black imprints. Chrome Plus stock. 2-sided 3-panel J-Card with artwork from Kyle Riley. 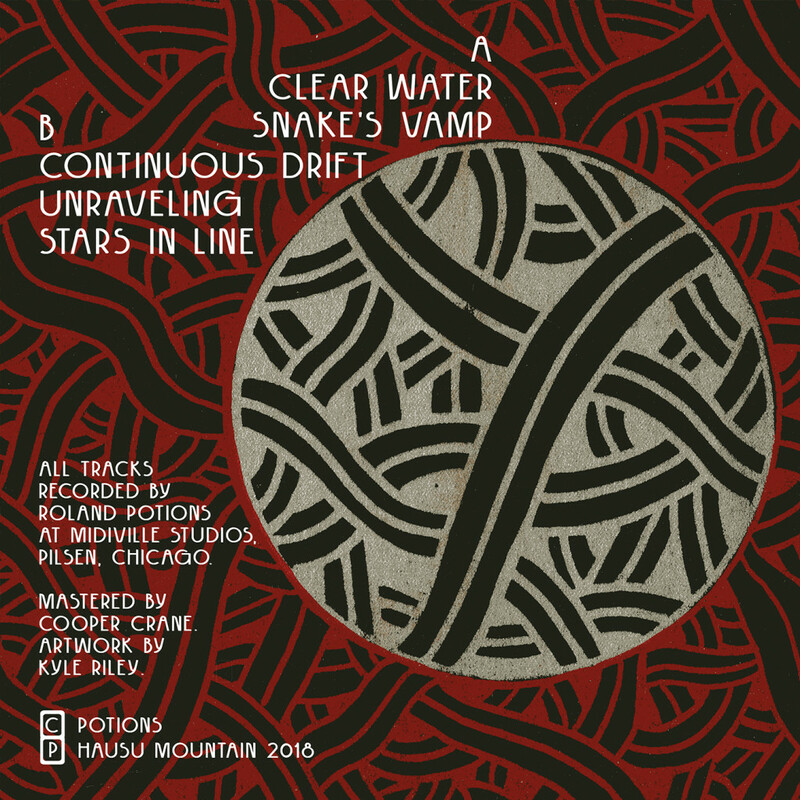 Potions is Chicago-based producer Roland Potions, a man known to spark full basements of bodies into motion with jams from his expansive hardware rig, or to fuel all-night raves with a bottomless collection of old school house / boogie / electro records. His own productions skate over tom-heavy technoid drum programming and ornate synth sequences that vary from Jetsons space-age atmosphere to Kraftwerkian robotic arpeggios. Ostinato steers the lounge beat stylings of 2015’s Light and Dark (HAUSMO33) off into new directions of extended drum machine workouts and alien synth arrangements. Potions’s analog gear bumps out fine-grain bass voices and organ-like lead tones that twist into fresh grid permutations as his sessions evolve. His background in jazz guitar and composition informs his dynamic six-string performances, flecked with moments of knotty harmony and crisp dry-toned comping. Meanwhile his obsession with crate digging along the Detroit / Chicago / Berlin axis guides his arrangements down hypnotic rabbit holes of four-on-the-floor focus. 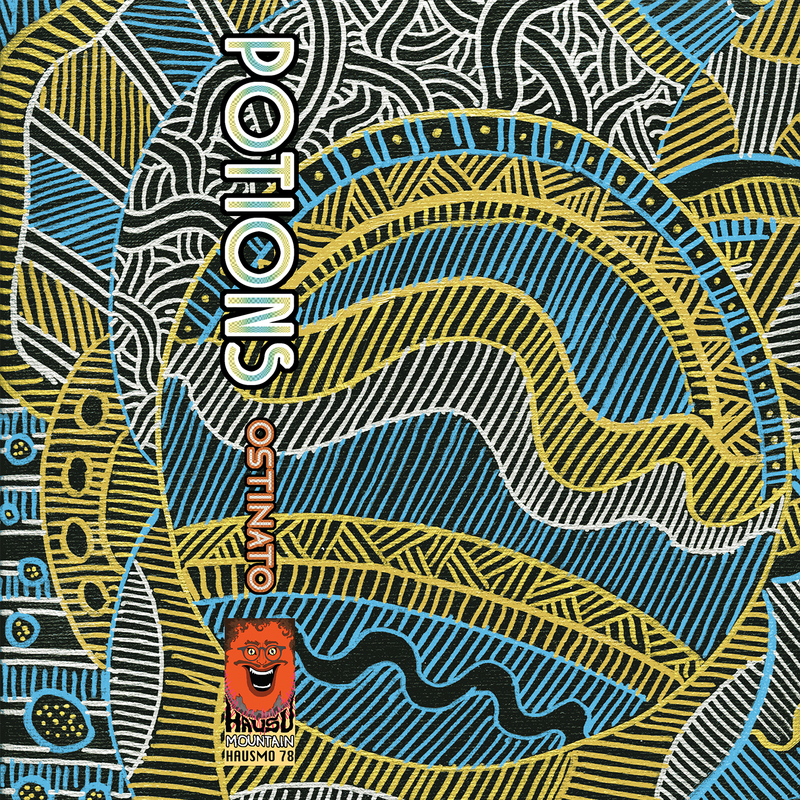 Potions handcrafts pristine hardware jams that define the space around them, upgrading a close headphone listen to a cosmic excursion or blasting a blacklit dancefloor into paradise.